Georgia’s State Audit Office (SAO) report reads that the Central Election Commission (CEC) issued double amount remuneration besides with bonuses last year, which amounted to GEL 1,772,843. The report states that the election period was determined from 22 August to 24 November in connection with the elections of local self-government bodies on 21 October 2017. “During the election period, remuneration and bonuses were paid is dual amounts to all staff and freelancer workers,” the SAO stated. The report reads that Georgia’s Election Code does not specify rules of granting doubled remuneration and bonuses and it remains unclear what for the employees were paid double, for extra work or for the work which was their responsibility. The report also reads that during the election period, the CEC employees were paid double on the grounds of the “doing extra work or for fulfilling especially hard and responsible work,” ordered by the chairman of the relevant structural units and the CEC chairperson. According to paragraph 1 of Article 9 of the Election Code of Georgia during the election/referendum period, except for the period of midterm elections, members of CEC, heads of the CEC staff and staff employees are usually given a double amount of salaries. The State Audit Office is the supreme audit institution. • Improvement of management of public finances. 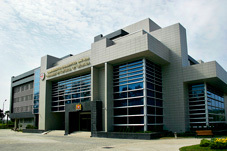 The Office also conducts financial monitoring of the political parties, within the competencies defined in the Organic Law of Georgia on Election Code of Georgia and Political Union of Citizens. The SAO is independent in its activities and regarding its institutional subordination, funding, operation and organizational setting.